This is a quick blog about installing the AL language for Visual Studio Code from a .vsix file. When you create a developer preview Azure VM for AL development, you get a landing page to access this VM. The script that creates this VM will put all the components on the VM that you need to do your development, including the correct version of the AL Language extension for VS Code. If you want to do your development locally, you will need to put the right version of the AL Language extension on your local installation of VS Code. Lucky for you, there is a link on the landing page for your VM that will download the installation package into your downloads folder. The file has the extension .vsix, which is what VS Code needs. All you need to do is press Ctrl+Shift+P and type ‘vsix’ in the command palette, and VS Code will suggest ‘Extensions: Install from vsix…’. When you select this, you need to browse to the file, and hit the ‘Install’ button. If you already have another version of the AL Language installed, you’ll need to disable that, so that there is no confusion about which one VSCode uses. One of the most frequent questions I get in our workshops is how can I keep my test data when I am developing in AL. For this, Microsoft has given us a new property that you can set in launch.json, read on to learn the details :). Up until now, every time you hit F5 in AL to test your app, you have to start from scratch to enter some test data, of put together some data creation code in an install codeunit to populate your tables automatically. The reason is that the default behavior of the AL Language extension was to completely recreate and rebuild the app, every time you hit F5. This means that behind the scenes, your current installed version is completely destroyed, and then VSCode recreates the .app file and publishes/installs the app for you. As a consequence all the test data goes kerblammo, and you are stuck having to enter all the test data again. Not a big deal if it’s a setting or two, but if you added some fields to an existing table that you need some values in, and you need some data in your custom tables, it can get very tedious very quickly. Microsoft has given us a new property called ‘schemaUpdateMode’ that goes into launch.json. If you leave this property out, the default behavior stays the same, so it recreates the app every time you hit F5. You can of course also add the property and set it to “Recreate” just to make sure. If you want to keep your data though, you can set it to “Synchronize”, which will keep your data intact. Be aware that if you increase your app version, you will also need to use Powershell to Synch and run the data upgrade. You might have heard people talk about “Extensions v2”, and maybe that doesn’t make a whole lot of sense. Let me take a few minutes and try to explain the concept to you. 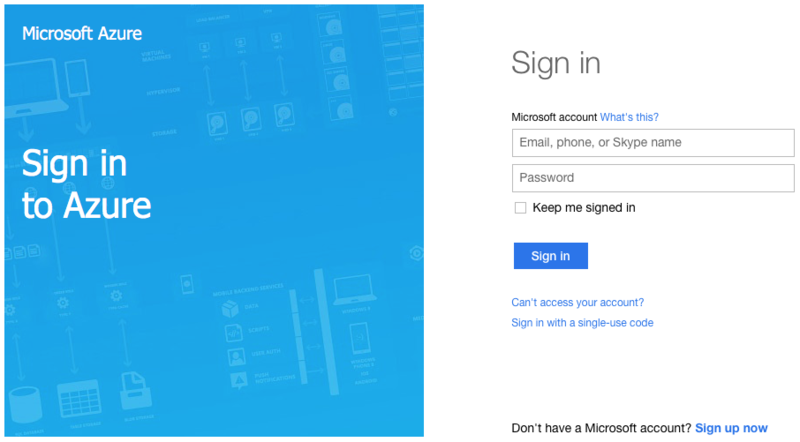 Back in 2015, Microsoft announced the concept of extensions to us, in this blog post. I remember reading this article, and being thoroughly confused. At the time I was not in a technical role, and I had let my technical knowledge slip for just a minute it seems. For extensions v1, development is done in good old C/SIDE. There are severe limitations as to what you are allowed to do. For instance, you cannot add values to option strings in table fields, and you cannot add code to actions on pages. I won’t get into the details of those limitations, but you must be aware of what you can and cannot do for extensions, because in C/SIDE you can do a LOT more than what you are allowed to do. The extension itself is compiled in a so-called .NAVX file, also know as a NAV App file. To get to this package file, you must use PowerShell Cmdlets to export the original and modified objects, calculate the delta files, and then build the .NAVX file. To deploy this .NAVX file, you then must use another set of PowerShell Cmdlets. For extensions v2, development is done in Visual Studio Code (also known as VSCode), using the AL Language extension. Since you are no longer working in C/SIDE, only the allowable things are allowed. You simply cannot do anything that the tool is not capable of doing. You no longer have to export original objects and compare them to modified objects. Essentially, you are programming the delta files directly in VSCode. Deploying the solution works simply by building the project from VSCode. You hit F5 and VSCode will build the package and deploys it to the service tier that you specify in the launch file. Deploying the app to a test system still happens with PowerShell Cmdlets. Hopefully this clears it up a little bit. Once you understand the differences, it’s not so intimidating any longer. 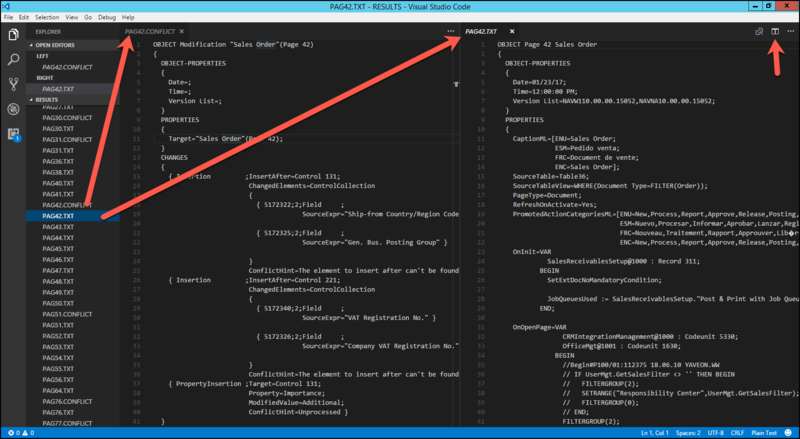 In a previous article, I explained how you can use PowerShell to create the environments. The script in this article actually use the variables that are assigned in the other one. What I should really do is create a configuration file and load that from both scripts. I wanted to share what I have so far though, without a handy configuration file but hopefully helpful nonetheless. We start off with the 4 environments that were created in our last article: ORIGINAL, MODIFIED, TARGET, and RESULT. The first two environments contain the standard W1 and the ISV product. Target and RESULT are identical at this point, and they both contain the standard NA localization. All environments are in the same build number (NAV 2017 CU2 in this case). Because I have a developer license that has insert rights in the ISV number range, my strategy is to merge the product modifications into the NA database. If you do not have those insert rights, then a better strategy would be to merge the NA localization into the product environment instead. Microsoft has recently added insert capabilities for the standard object ranges to regular developer licenses, for this particular purpose. As I was working through the conflict objects of this assignment, I was thinking that this may even be the best default strategy anyway. The conflict resolution is something that has to be done manually. Everything else can be scripted in PowerShell. During this process I’ve asked Waldo for some help, and he explained that most of what I am doing here is already part of the merge sample scripts. In the Cloud Ready Software PowerShell module, there is a folder called “PSScripts”, and in that folder you will find a large number of scripts that you can use as an example to get started on your task. As you gain experience in using PowerShell, you will recognize a lot of useful features in those scripts, and you can modify them to your specific needs. At this point, you will have an “Objects” folder in your working folder, with full object files for ORIGINAL, MODIFIED, and TARGET. 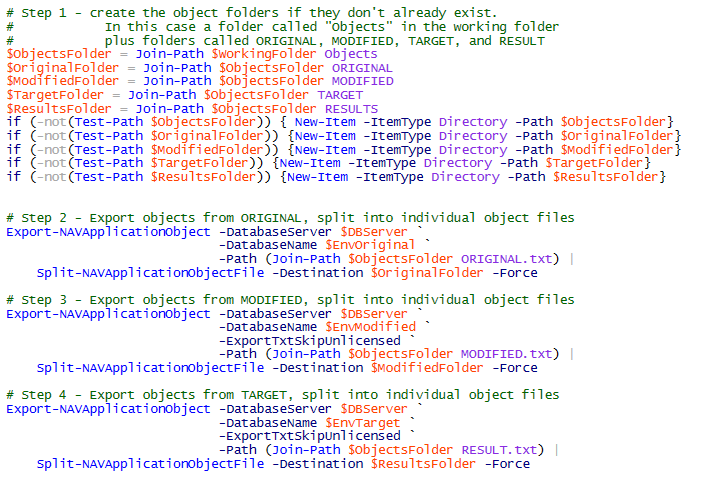 Those object files have then been split into individual object files in the ORIGINAL, MODIFIED, and TARGET folders. Before using PowerShell to merge those objects, I used a text compare tool (I like Scooter Software’s Beyond Compare) to eliminate unmodified objects. Remember, I only want to work on the modified objects, so I don’t have to worry about getting confused by objects that were not changed for the ISV product. Now that we only have modified objects in all three object folders, we’ll use the merge Cmdlet to do the actual merging of the objects. If you notice, the output of the “Merge-NAVApplicationObject” Cmdlet is loaded into the variable “$MergeResult”. This object is then piped into the “Merge-NAVApplicationObjectProperty” Cmdlet. The first Cmdlet is a standard NAV PowerShell Cmdlet, and the second one comes with the Cloud Ready Software modules. The standard merge Cmdlet does not merge the Version List property, it simply takes the Version List from one of the three environments. We can have a discussion about whether the Version List is even important anymore, especially if you use Source Code Management. The reality is that most NAV developers depend on proper tags in the Version List, so it is useful to merge those as well. All you need to do is specify the prefixes that you want to merge (In my case NAVW1 and NAVNA) and it will find the highest value for those prefixes. All other prefixes will be simply copied into the RESULT objects. At this point, we have all merged files in the RESULT folder. This includes the objects that were merged successfully, but also the objects that the merge Cmdlet could not resolve, for instance when code was added at the same position in MODIFIED and in TARGET. Since we are going to have to learn how to use VSCode, I decided to use that to resolve the conflicts. With VSCode installed, you can open the RESULT folder and see the content of this folder inside the file browser at the left hand side. In the upper right hand corner is a button that you can use to split the screen into two (and even three) editor windows. This is very useful for resolving merge conflicts, because you can open the conflict file in one side, and the object file in the other side. You are editing the actual object file here, so you may want to take a backup copy of the folder before you get started. Now what you must understand is that the conflict files only contains the pieces that the merge Cmdlet could not figure out. In a total of 860 objects, with 6956 individual changes, it was able to merge 96.4% of those changes. An object that may have 4 conflicts can also have a ton of other changes that the merge Cmdlet merged successfully. All YOU have to do is focus on the ones that need manual attention. For instance, codeunits 80 and 90 had a TON of modifications, but it only needed help with 3 of them. I had a total of 115 conflict files, and I could completely resolve 112 of them in VSCode. I made a note of the few that remained, and decided to import those unchanged into C/SIDE, so I can finish those off in the proper IDE. The last PowerShell command that I used is to create a single object file, which can then be imported into C/SIDE. Then I finished the last few remaining object files, and was able to compile all objects from there. I’ve done many of these merges completely manually. To say that I was skeptical that PowerShell would do a good job is putting it mildly. I flat out did not trust the merge Cmdlet, surely they could not do as good a job as I could do. I was wrong. I checked a bunch of objects to see if I could find any mistakes and I could not find any. Not only did the merge Cmdlet do a fine job at merging the objects, it did so in about 5 minutes flat. Instead of having to manually merge almost 900 objects, all I had to do was focus on the conflicts. Usually, a vertical merge like this would take me anywhere from 2 to 4 weeks, and I was able to finish this one in less than two days. Figuring out the PowerShell scripts took me much longer, but I will be able to use those for the next merge task. This morning I was part of a panel to host a webinar to show the development tools preview. It was my pleasure to provide the demo part and show the attendees a taste of what is to come in the new development tools for Dynamics NAV. The demo part was just about 25 minutes, and then we opened up the floor for questions. We had some good questions, and it was a lot of fun to be able to share that with everyone. At Directions in the US this year, Microsoft announced that they would release a preview of the new development tools for Dynamics NAV. Today, they have delivered on that promise, and you can try them out in your Azure subscription. Head on over to the Development Tools Preview for Dynamics NAV to read all about it. You will find instructions on how to get started there. Go to the New NAV Development Environment on MSDN to read more about the details. If you decide to take the tools for a test run, and you find any issues with them, you can report on those issues in the AL Github issue tracker. Go to The Microsoft/AL Github page, click on the ‘Issues’ tab and create a new issue there. Microsoft is monitoring the issues there. The important part to keep in mind about this preview is that it gives us a preview of how development for extensions is evolving. The goal is to simplify the process to where all we need to do is write the code and hit a build button, and all internals are taken care of by the environment. Remember, this is just a preview of the tools. It is not supposed to be flawless. Microsoft is also working on many other tools to complement VSCode and provide a development experience that will meet the NAV developer’s needs. Today marks something quite unique, at least for the NAV world. Microsoft is actually giving us a preview of a preview product that they have announced for Christmas. During this year’s conference season, Microsoft has shown their vision of the future development tools for Dynamics NAV. 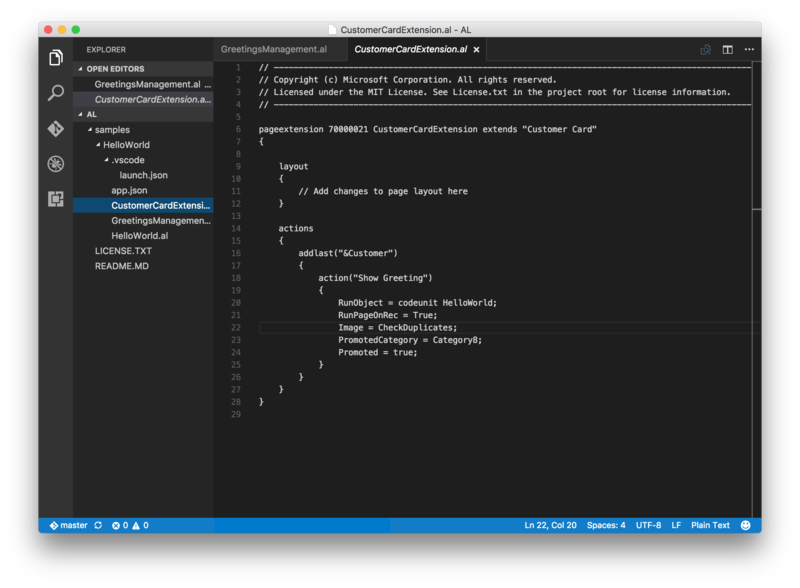 We’ve seen various demonstrations of how we will be doing development for NAV in Visual Studio Code, a lightweight development tool. Today they have put some sample files on GitHub (Check it out here) for all of us to look at and to critique. The sample is a simple “Hello World” application, with a couple of codeunits and a so-called ‘page extension’ object. Part of the vision for future development is to make building extensions easier. Without going into any detail of why that is important, this will make extension and app development a LOT easier to do. Go check out the files for yourself, and if you’d like you can even contribute to the GitHub project. For me, this is a very exciting prospect, and I can’t wait to see what happens next.